Sir Arthur Eddington was an eminent English astronomer, physicist and mathematician. He is known for his groundbreaking research in astrophysics. He was the first person to investigate the motion, internal structure and evolution of stars and is widely considered to be one of the greatest astronomers of all time. 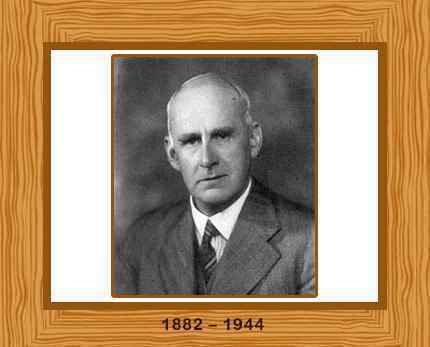 Arthur Stanley Eddington was born on December 28, 1882 in Kendal, Cumbria, England. Arthur came from a Quaker family; his father, Arthur Henry Eddington, was the headmaster of a local school and his mother was Sarah Ann Shout. Arthur was a very bright student. He won an entrance scholarship to Owens College, Manchester in 1898 aged 16. Eddington spent three years at the college and in 1902 he graduated with a First Class Honors degree in physics. Eddington then won a scholarship to Trinity College, Cambridge and he came first in the Cambridge Tripos in 1904. He earned his Cambridge degree in 1905. After graduating, Eddington spent some time researching thermionic emission at the Cavendish Laboratory in Cambridge. In 1906, Eddington became the Chief Assistant at the Royal Observatory, Greenwich. His duties at the observatory included visiting Malta in 1909 to determine the longitude of the geodetic station situated there. He visited Brazil in 1912 as the head of an eclipse expedition. He became the Plumian Professor of Astronomy at Cambridge in 1913, and he taught there for over 30 years. In 1914 he was made director of the Cambridge Observatory. During the First World War, Eddington obtained a exemption from service, due to his research work. This was just as well because, as a Quaker, he was a pacifist. During the war years Eddington completed the transit observations for the zodiacal catalog. He took an expedition to island of Principe off the coast of Africa in 1919 to observe an eclipse. His observations of the eclipse confirmed Einstein’s predictions that a slight shift in starlight was caused by the gravitational field of the Sun. Eddington published “Space Time and Gravitation” in 1920 and “Mathematical Theory of Relativity” in 1923 which were the earliest works in English language that explained the mathematical details of Einstein’s theory of gravitation and special relativity. Eddington published his first book, “Stellar Movements and the structure of the Universe”, in 1914. It laid the groundwork for our understanding of the structure of the universes. His book “The Internal Construction of the Stars”, published in 1926 remained one of the best-selling astronomy books for decades. Eddington discovered in 1926 that the inward gravitational pressure of a star must maintain the outward radiation and gas pressure to remain in equilibrium. He also demonstrated that there was an upper limit on the mass of a star. Eddington discovered the mass-luminosity relationship, which shows that the size of a star is directly proportional to its luminosity. The luminosity of a star is roughly proportional to the total star mass to the power of 3.5. In later life, Eddington attempted to find a fundamental theory that would unite quantum theory, relativity and gravitation. This research was published in “Fundamental Theory”, after his death. Arthur Eddington became a fellow of the Royal Astronomical Society in 1906, and eight years later, he became an elected Fellow of the Royal Society in 1914. He was knighted in 1930. Eddington never married died after an unsuccessful surgical operation in Cambridge, England on November 22, 1944. The Eddington Memorial Scholarship and Eddington Medal were established in his honor.